GlobalGiving changes the way people give by offering donors a transparent, high-impact fundraising experience outside of the U.S. GlobalGiving acts as an application programming interface (API) partner with YourCause, enabling our members to make direct donations to charities associated with creative projects GlobalGiving hosts (that may never get funded otherwise). GlobalGiving provides a preferred international non-profit vetting partner to YourCause, enhancing our international disaster relief and crisis platform by making donations more immediate, safe and efficient. As the Internet's leading non-profit donor advised fund, Network for Good makes it easy and affordable for donors to connect with charities of any size. 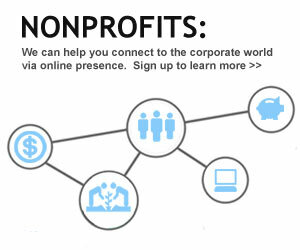 Network for Good partners with YourCause to process donations made via our members and clients in a convenient, secure system. They enable donors to give to 501(c)(3) approved charities at any time, processing the transactions and delivering the check to the appropriate charity. Therefore, all donations made through YourCause will include a Network for Good receipt perfect for tax-deductible purposes! YourCause clients and members have processed more than 1.3 million dollars through Network for Good. Overall, Network For Good has raised more than $400 million in online donations to more than 50,000 different nonprofit organizations. The Marketing Arm, an “idea” company, helps YourCause clients (present and new) conceptualize and create full-scale cause marketing campaigns. The Marketing Arm understands that volunteering or donating to a cause is one of the prime interests that engage consumers to brands. Therefore, our partnership with TMA gives companies a one stop shop for all their marketing - from cause marketing to on-the-ground marketing, celebrity endorsement and more! Notice: the link you selected leads to an external website. You are exiting the Yourcause site.